Welcome back from the weekend, everyone! I hope you all had fun celebrating and remembering your dads and catching up on some r & r. My weekend consisted of errands with my mom, church and brunch to celebrate my dad, and lots of photo sessions for upcoming posts! Really excited about some of the things that are coming up around here! 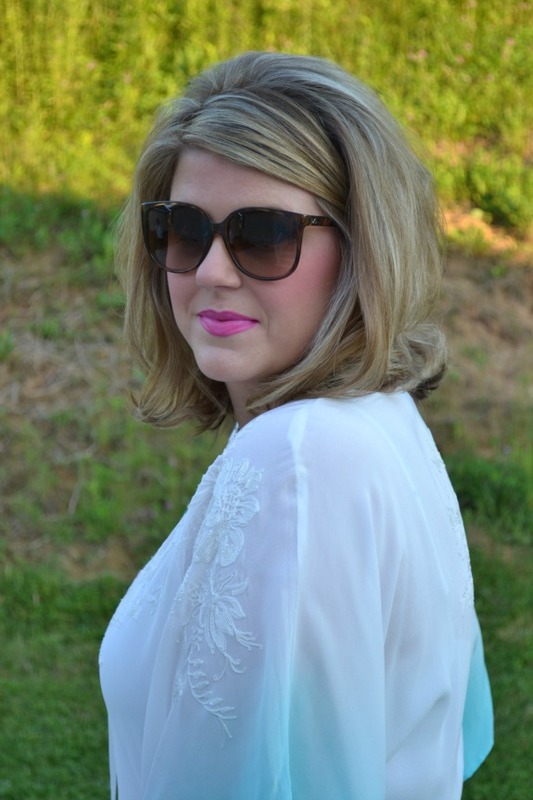 Today, I'm sharing an outfit I styled in collaboration with Social Dress Shop. . . Sometimes all it takes is a great piece of jewelry to instantly bring an outfit to life. 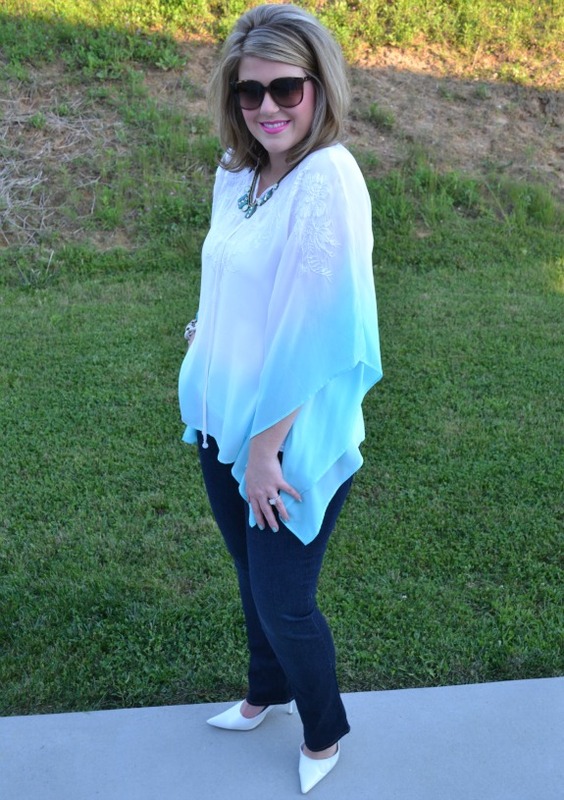 Even though this top is full of details - white-to-blue ombre/beautiful stitching - it still required a bold necklace to bring it all together. The Petra Bib from Loren Hope was just the thing to really make it pop. It features a great contrast of turquoise and mint stones in a very Art-Deco arrangement. 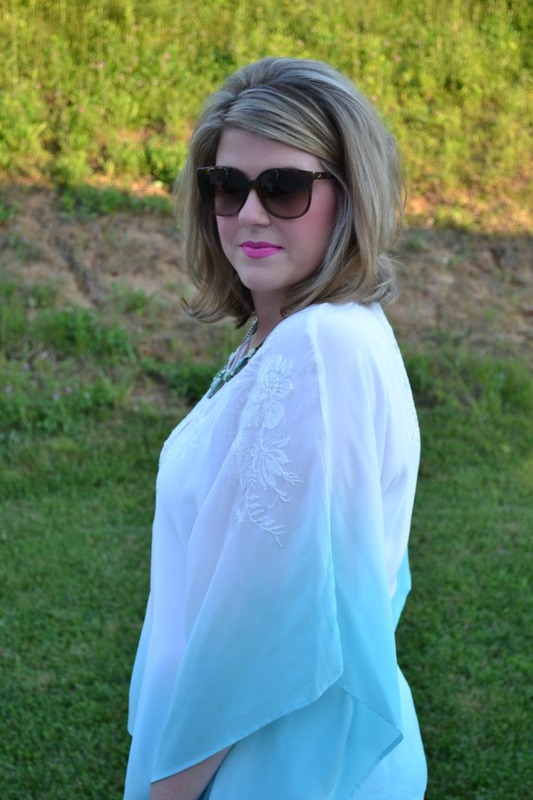 I love the way it pairs with the boho-style caftan. 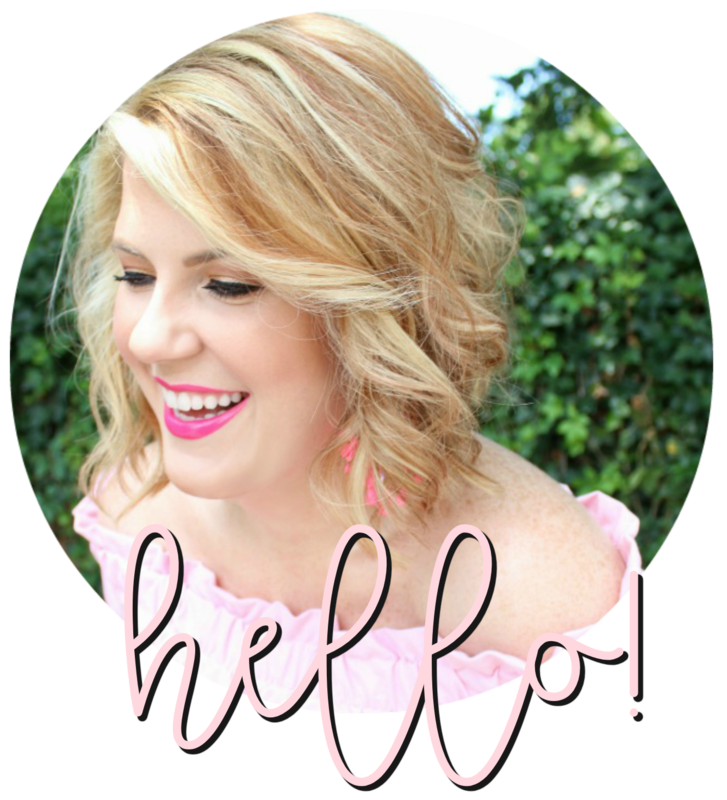 . .
And in case you want to snag a pretty piece of Loren Hope for yourself (or a fancy dress) Sarah is offering 15% off her shop through next Monday! Use code JULIE at checkout! So glam! 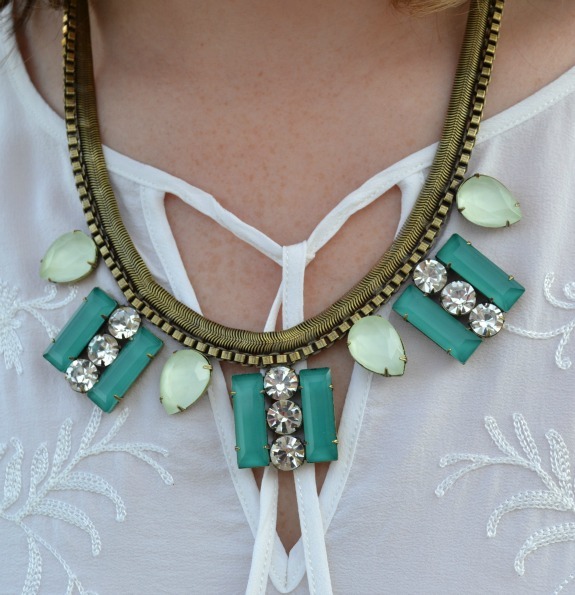 Love this top on you, and that necklace is the perfect accent. 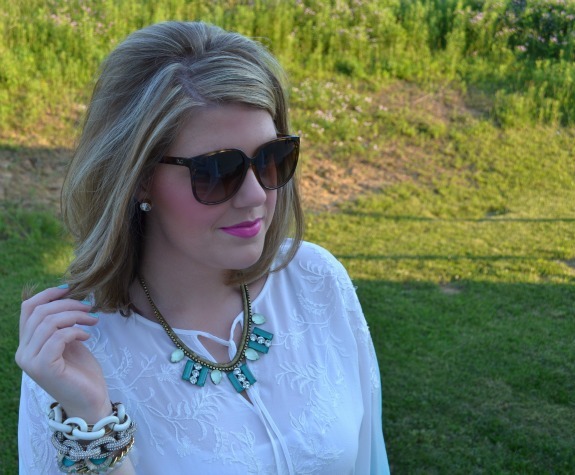 That necklace is so pretty–it looks great against the white! that necklace is beautiful! I also have to say that every time I look at your blog I think about how perfect your hair is. Every. Single. Time. If only I had mad hair skills. Love the color scheme you have going on here, especially the contrast of the necklace against your top. such a pretty necklace...loooove it! It is a pretty necklace! 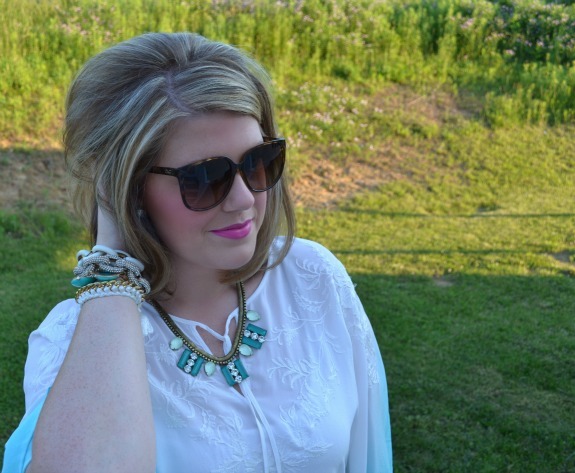 I was just talking about jewelry on my blog today! I inherited some really great vintage pieces from my late grandmother! In LOVE with your necklace ! That is such a pretty necklace! Loren is so talented since everything she does is gorgeous. That necklace is amaaaazing! Gorg. just gorgeous! I am so obsessed with that necklace pretty lady! You look so sweet in this outfit. I love how clean and simple this outfit looks. You look beautiful. Not only do I now want to go out and buy some white heels, but I really love that lipstick! Also, what color/brand is that blush? :) It is a gorgeous pink!